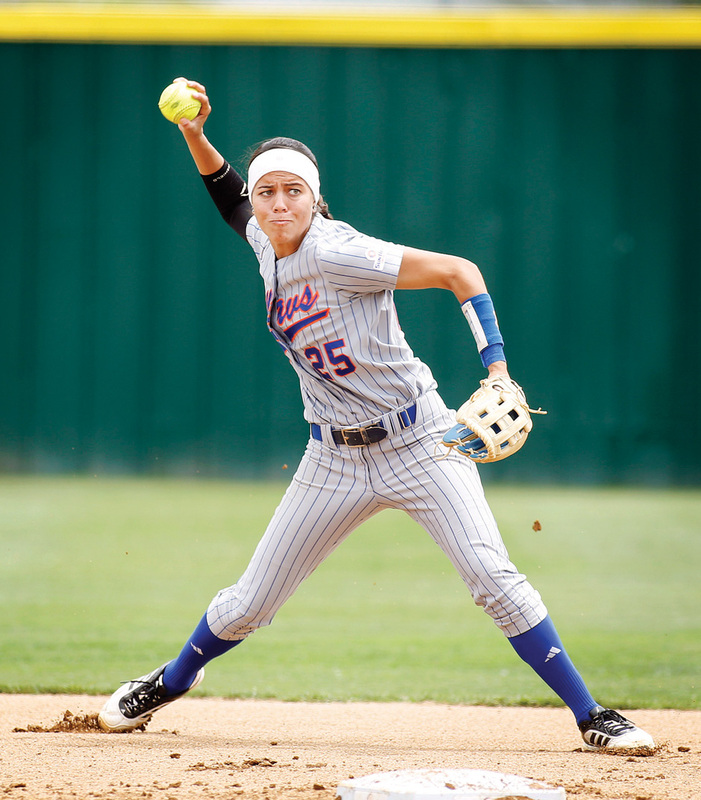 Infielder Nina Villanueva’s journey to UT Arlington has taken her from an initial stint at Cal State Monterey Bay in Seaside, Calif., to a leadership role for the Maverick softball team. She transferred after her freshman season and quickly became a dominant force. She was named to the 2013 All-Western Athletic Conference first team and made the WAC All-Tournament team. As a junior, she earned first-team all-conference honors for a second consecutive year, this time in the Sun Belt Conference. The San Diego native led UT Arlington in batting average (.348), hits (56), RBIs (39), and home runs (8). She enters her final season as one of three seniors coach Kristie Fox will tap for leadership and production. The team begins 2015 in recently renovated Allan Saxe Field. “I’m stoked to have a new facility for our senior season,” Villanueva says. By staying positive and working hard, she hopes to put up even bigger numbers than last year. More importantly, she believes the Mavericks have a shot at winning the Sun Belt Conference title.